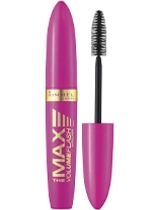 As part of my recent Ulta haul, I picked up a tube of Rimmel The Max Volume Flash Mascara. 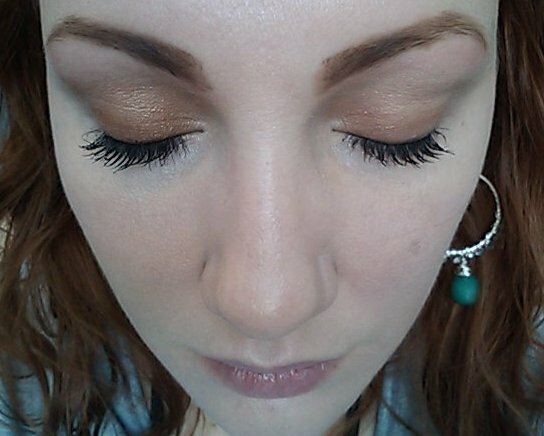 Take your lashes to the new MAX! Exclusive Quick setting ‘Lash Expand’ formula with Collagen to fatten and Keratin to strengthen. Lashes are pumped to full volume. Skinny to fat in 10 SECONDS FLAT. Our BIGGEST BRUSH EVER with unique ‘Perfect Fit’ technology for perfect loading of each lash. No clumps. 14 x lash volume with no clumps. 10 seconds flat! I was starting to get pretty disappointed with Rimmel mascaras (since I can't use the one that impressed me so much to start, because I don't want to disrupt my Latisse experiment, Rimmel Volume Accelerator Mascara), after the last few didn't perform the way I hoped they would. 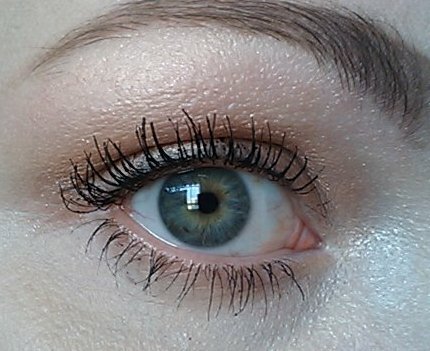 This mascara does coat the lash pretty well. 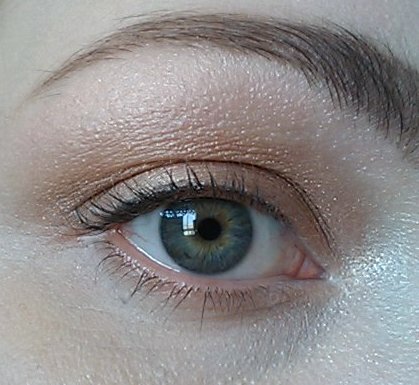 It gives a decently dramatic look without a lot of effort. It wears all day without running or smearing if you don't get water on it. It washes off easily and doesn't take any lashes with it when it goes. That part is extremely important to me, because I'm trying to grow out my naturally very stubby lashes, and I don't want to lose any to washing off a mascara that won't let go. The bad part about it was that it did tend to be a bit goopy and glob my eyelashes together. I had to comb through them repeatedly with the wand until they were properly coated and separated. It would take at least 3 passes (without letting each coat dry, because it does dry hard) to properly coat the lashes. Also, when I would rub my eye, it would flake pretty easily. I don't rub my eyes hard, because I'm usually wearing makeup, so the mascara has a pretty low tolerance to being touched after applying. I wouldn't say that this mascara actually builds a lot of volume. It did nicely coat my lashes so that you can see all of them (the tips are so blond that you can't see them at all without mascara on them), but I think the more dramatic "before and after" pictures is from not being able to see the tips of my lashes in the "before" picture, than it is any great feat of the mascara in the "after" picture. Now, for the after pictures, The Max Volume Flash is about 3-4 coats.